If you can’t keep your hands off Monster cookie dough, these truffles are for you! This summer I’ve been obsessed with making truffles. Throughout the school year I bake cookies every week. My kids like having fresh baked cookies in their lunches (who doesn’t???). But in the summer, baking cookies is one of the last things I want to do. Especially when it’s 90 degrees outside. Cookie dough truffles are the answer in summer. You get all the delicious taste of a cookie, in an egg-free, no bake truffle. Seriously, who’s going to complain? 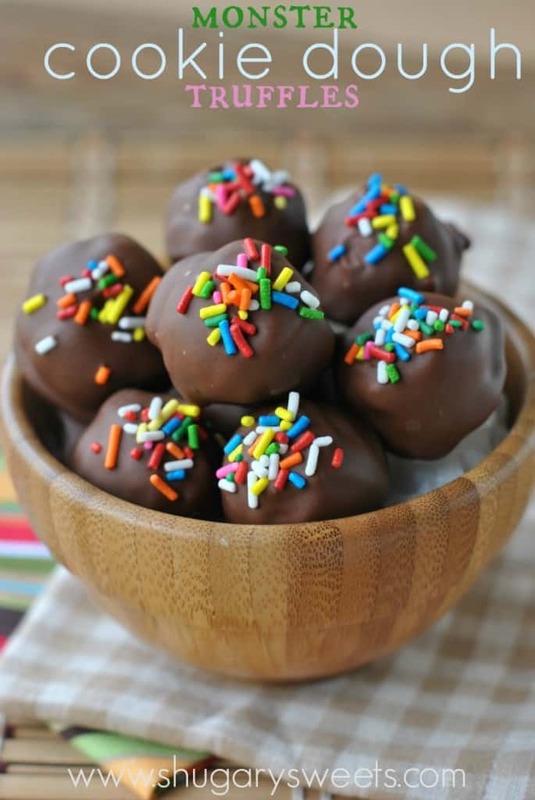 I’m sharing these truffles over on Food Fanatic today. Feel free to stop over to PRINT THE RECIPE! Who couldn’t love more sprinkles and cookie dough?! So fun. It means you have no kids at home! These look fabulous and I want a treat for each meal too! Holly scraps, these sure look awesome. I am sure your family thank you for them 🙂 I also love making truffles, they are a bit more time consuming to prepare but worth every minute!! Yum!! I’ve always wanted to try making cookie dough truffles. They look so fun and easy. These are perfect for summer! 🙂 I love the sprinkles on top. You had me at Cookie Dough… and then make them “monster” like… must go get the recipe now! Cookie dough truffles are the best! And honestly, monster cookies are my favorites. Your truffles are always so perfectly shaped, it is amazing! Mouthwatering, as usual! Oh, and we haven’t had Internet for the last couple days, but your haystacks look INCREDIBLE. Pinned! These little bites look delicous! 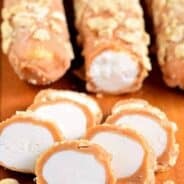 Sweet stuff you don’t have to bake in the summer? The perfect dessert! The perfect treat……did you use the mini m&m’s. 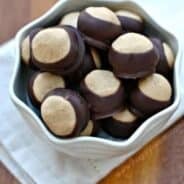 I actually used peanut butter m&m’s, but any version of the candy would be delish! Thanks for answering…..I think I’ll try the mini ones when I make them and maybe some toasted pecans, chopped. sounds delish Barb. Let me know how they turn out!! I LOVE cookie dough truffles. I think they’re so much fun to make (and eat), and the fact that they don’t require the oven makes them great for summer. Peanut butter M&M’s inside sound SO good! Oh, hello! These look amazing!!! 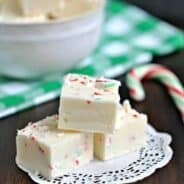 These look delicious, saving recipe. I’m unfamiliar with candy melts, is that what is coating the truffles? I use candy quick, which is a block of melting chocolate. Candy melts are ok, but they don’t have great flavor. Thanks Aimee, I’ve seen quite a few online and they all seem to be vanilla flavoured. I’m not going to complain! I love truffles, Aimee! I’d be popping these in my mouth all day! 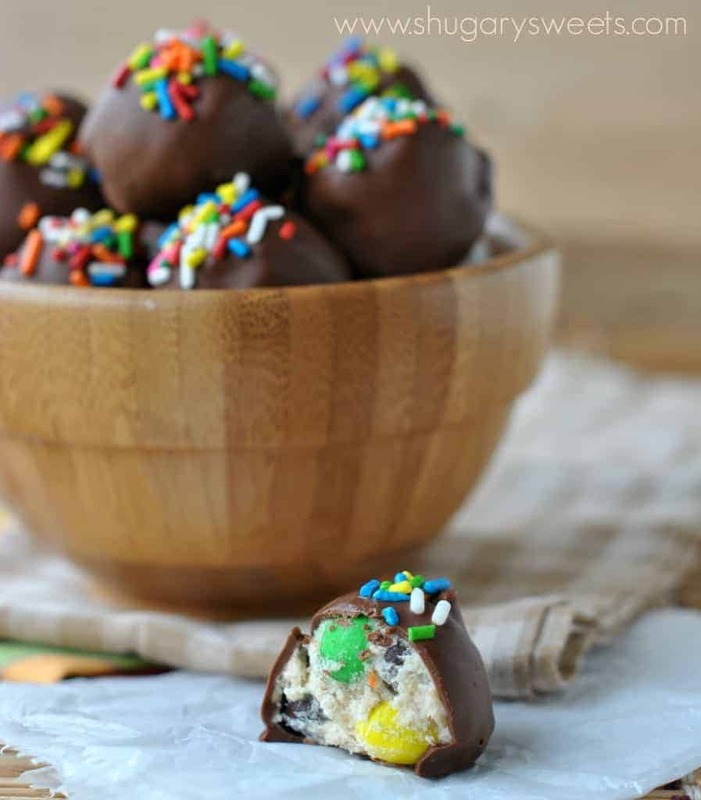 Truffles that are stuffed with Monster Cookie Dough?! I’ll take a dozen! Oh Aimee, these look fabulous! Think of the possibilities with leftover Halloween candy. Oh how I love leftover Halloween candy…. Adorable AND delicious! Love me some monster cookies.. and of course, the dough! I’m seeing tons of recipes with sprinkles lately which clearly means only one thing: I need more sprinkles in my life. Perhaps I’ll start with these. Yeah, they are pretty dangerous!!! Thanks for stopping by girl!